2 1/2" closed lockback. 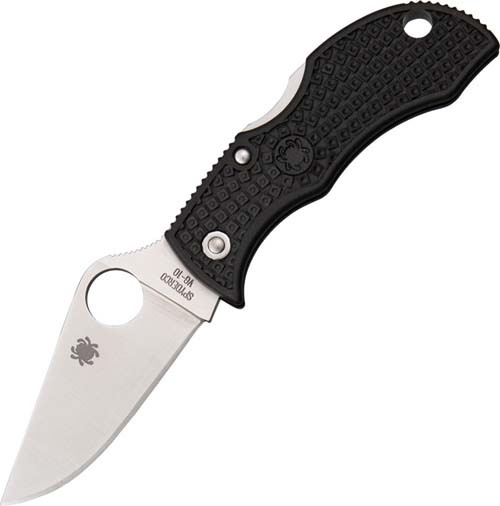 1 7/8" full-flat ground VG-10 stainless blade with thumb hole. Checkered black FRN handles. Lanyard hole.